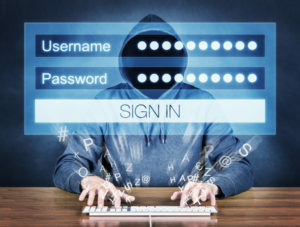 IT Services Orange County Business Advice: Take Password Protection Seriously! IT services in Orange County can seriously help you maintain your online security with several simple changes to established protocols. Granted, human beings are brilliant enough to invent modern “thinking machines,” also known as computers. With that brilliance, they’re naturally going to be able to find their way into secure operations when enough resources and manpower are available. But oftentimes, a hack occurs not through some concerted intelligence operation funded by an organization or high-minded, well-funded hacking group; oftentimes, a hack happens because security measures are lax. Believe it or not, big-ticket organizations leave themselves wide-open for breaches on a regular basis. As a matter of fact, 2016 constitutes the highest concentration of security breaches in the history of the Internet. 2017 is gearing up to be another year of security breaches that break records. Many breaches happen as a result of poor password protection. This is very understandable when you consider the annoyance of constantly protecting all your sensitive information with passwords. Constantly coming up with new ones can be a real hassle. Additionally, so many passwords become hard to remember. A lot of people like to give themselves contingency information. They’ll hide the passwords in a file somewhere on their computer, or write them on a sticky note by their desk, or something of that ilk. But people are predictable. Those looking for security weak points understand that individuals who must constantly come up with new passwords get tired of it, so they follow the path of least resistance. Concerted hackers look for these easy paths. Hackers know those who must constantly derive passwords strive to pass the bare minimum of standards required. For a numerical password that requires a capital letter and a number, a “path of least resistance individual” will likely contrive something like “Password1!”. This meets all the computer’s qualifications for a new password… and it’s easy to remember. The thing is, it’s also very easy to hack. …and other such simplistic solutions. Be sure you avoid these common, simplistic passwords, but don’t stop there. IT services for Orange County can help you design passwords that are properly secure and will require a concerted effort to crack, if they can be cracked at all. Encryption algorithms can bar the vast majority of hackers and secure your business. An example of a password that’s going to be more trustworthy would be something like: “a*J12$$lkkituh!Biohnw.” That’s something nobody is going to guess— it’s too random. The difficulty is remembering it. But here’s the other side: too many over-complex passwords make it difficult for you to get into your information because you can’t remember them, and you don’t want to write them down where they can be found or store them where they can be sourced. When you’re looking for IT services for Orange County, ensure that you find an option which understands what is at stake with regards to security, and how to avoid such breaches with the right balance of convenience and protection. We at Intelecis, Inc. have established secure protocols, and understand the tech environment enough to help you properly protect your systems. Contact us and let’s discuss the best security options for your business.